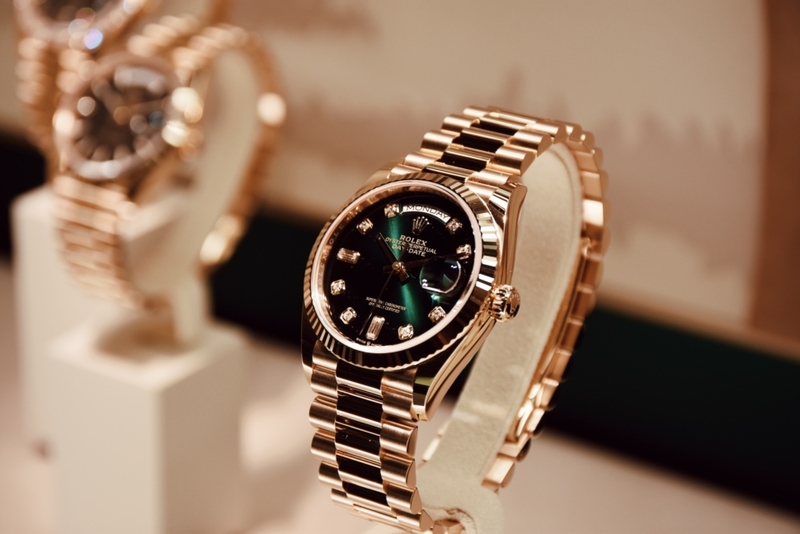 Baselworld 2019 once again gathers together the watchmaking and jewellery industries to reveal novelties and set up trends for the next twelve month. Nowadays, the entire industry is changing in a flash, and so Baselworld has faced a number of challenges. Hence, the exhibition will be completely transformed in 2020. On one hand, changes are inevitable as companies are trying to reach new customers and the younger generation. On the other hand, luxurious watchmaking and jewellery-making brands are facing questions of digitalisation, sustainability and exclusivity. During this year’s show, we have a chance to sneak peek on future metamorphosis’. Surely, Baselworld has its own style and reputation as one of the most important trend setting exhibitions. It is attracting experts, journalists and celebrities from all over the world. While guests are enjoying glamorous new products, professionals use the exhibition as a platform for building valuable connections and networking. Dates: March 21 – 26, 2019. Opening hours: daily 9:00 – 18:00. Location: Messeplatz/Exhibition Square, Basel, Switzerland. From Basel SBB train station: tram #2 or #1. From Basel Bad Bahnhof: tram #2, #6 or a few minutes walking. Prices: Single Day Ticket at the Online shop – 45.00 CHF; Single Day Ticket at the Box offices – 60.00 CHF. You can find more information about tickets on the official website. This year, watchmakers focused on their signature exclusivity, defining the heritage in craftsmanship and DNA of each brand. Chronograph 5172G-001 – the movement has six patented innovations, and as a result, ultimate precision, improved amplitude and a greater element of self-adjustment. In the design, the white gold case with vintage-style three-tier lugs and a sapphire box glass crystal. Ref. 5212A Calatrava Weekly Calendar – it is a weekly calendar with a semi-integrated mechanism displaying the current week, in addition to the day and the date. Sea-Dweller – the new Rolex Oyster Perpetual Sea-Dweller combines Oystersteel and 18ct yellow gold for the first time. GMT-Master II – a new version of the Oyster Perpetual GMT‑Master II with a bidirectional rotatable bezel and a two-colour 24-hour graduated Cerachrom insert in blue and black ceramic. Day-Date 36 – the new generation of its Oyster Perpetual Day‑Date 36, available in 18ct yellow gold with a green ombre dial and diamond hour makers. Poinçon de Genève Classique – since 2015, the brand is among very few watchmaking houses to have earned the Poinçon de Genève certification, which was introduced by the Republic and Canton of Geneva in 1886 as the ultimate standard in excellence and an emblem of Geneva’s fine watchmaking expertise. The new collection will be limited to the 18 piece. This exquisite watches will be available in an 18K rose or white gold case. In addition to the Geneva Seal, these new models include the patented Ateliers deMonaco “Freebeat” adjustment system and manual dMc-708 calibre, featuring a 38-hour power reserve. Arraw 6919 – the brand has launched a new addition to its core collection. This unique watch is limited to only 100 pieces. The SW-280 mechanical self-winding movement has been modified by RJ engineers to accommodate the patented RJ Moon Phase mechanism that shows a 3D moon rotating 360° during a complete cycle of 29.5 days. The bezel is made with super light and hard composite material combining a high-performance acrylic glass and parts from the Apollo 11 spacecraft. The ARRAW 6919 is available in three different materials: polished and satin-brushed grade 5 titanium, ceramic and 5N+ red-gold. The watch is water-resistant up to 100 meters or 330 feet. RJ Star Twist – thanks to its patented spinning bezel, this 39mm high-end mechanical watch with its trendy look and feel is the perfect companion for vivacious women on the go. A world first – the dials made of mother-of-pearl show four different deep-sky objects and are designed by using a special technique: four unique layers of paint and an additional fifth layer of transparent coating give them a shiny effect, reflecting the immensity and color range of the endless universe and ever-moving galaxies. The watches are waterproof up to 100 meters or 330 feet. The collection comes in titanium or red-gold and limited to 100 pieces. I.N.O.X. Carbon Limited Edition Collection – 50% lighter and 5x more resistant than steel, the I.N.O.X. Carbon Limited Edition features a 43 mm case crafted from carbon, increasing its resistance to scratches. This collection is a clever fusion of durable materials, reliability and Swiss quality. Movement – Quartz Ronda 715. I.N.O.X. Mechanical – since the launch of the first I.N.O.X. in 2014, its mechanical version has been eagerly anticipated. This sophisticated 43 mm watch features Carbon case, genuine rubber strap and mechanical Sellita SW-200 movement. I.N.O.X. V Collection – this ladies’ timepiece has a 37 mm stainless steel case with a consciously curved, sculptural shape. Movement – Quartz Ronda 715. Autavia – the new Autavia collection bring together functional, versatile style and cutting-edge technology. Each Autavia watch is equipped with TAG Heuer’s proprietary carbon-composite hairspring, “Isograph”. The name Autavia comes from the combination of automobile and aviation. Every new TAG Heuer Autavia has a propeller and tire etched into the case back in commemoration of this. BB-01 Automatic – the five models fitted on a perforated silicone strap evoke the power and discipline of the motor racing world. Equipped with a Swiss automatic movement and exuding modernity and originality – as evidenced by its crown at 2 o’clock – this urban, sporty timepiece approaches traditional watchmaking with trademark irreverence. BOMBERG’s collections of watches and accessories offer distinctive designs, colours and functions. Classic Fusion Ferrari GT – designed in partnership with Flavio Manzoni, Head of Design at Ferrari. The highly resistant Carbon 3D fibre provides unyielding protection for the Manufacture UNICO HUB 1280 movement with column-wheel flyback chronograph. The Classic Fusion Ferrari GT is available with a choice of three cases: Carbon 3D fibre, King Gold (limited to 500 timepieces) or titanium (limited to 1,000 timepieces). Spirit of Big Bang Tourbillon – this new 42mm tourbillon with a carbon fibre case with black/blue accents. The limited edition of 100 models in each case features the new tourbillon movement HUB6020, which was specially designed for this case. In addition, it is equipped with the patented “One Click” system, which allows a quick and easy change of the bracelet. Big Bang One Click Marc Ferrero Steel – new exquisite timepiece for powerful and creative women. The collection is the result of partnership with world-famous artist, Marc Ferrero. As all his works, the watch looks sharp and energetic. 39 mm case is made of satin-finished and polished stainless steel with 42 blue topazes or 42 red spinel on the bezel. Only 50 watches will be made. Next year, I am looking forward to seeing all new concept and design of Baselworld. Organisers promised, that it will be an innovative digital platform with lots of possibilities for networking between representatives of watch -, jewellery industries with journalists and bloggers as well as dealers and collectors. Furthermore, new event and interactive zones will take place, along with a Retailer Summit, CEO Talks and a Virtual Reality Zone. The halls will also have redesigned look. The gemstone exhibitors will move to the Hall 2, which also will include the Innovation Square and a large area for smartwatches and wearables. In addition, the exhibition will open its doors with special exciting offers for guests and collectors. The next Baselworld will be taking place from 30 April to 5 May 2020.